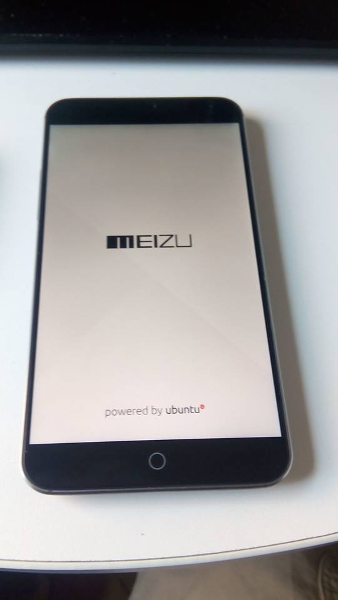 10 days ago I switched my phone, I dismissed the BQ Aquaris E4.5 and started to use the Meizu MX4 (both with Ubuntu for Phones). On Internet there are a lot of reviews about hardware and software, written by people more prepared than me and in a better English. What I want to do here is to highlight how it fits my user case and why it’s 9 months I don’t use a smartphone if it doesn’t have Ubuntu. I use Ubuntu as only system on my smartphone since Sep ‘14. I started with a Nexus 4, until Feb ‘15, when I switched to the BQ Aquaris, and then to Meizu MX4 a couple of weeks ago. All three devices have been given to me by Canonical, the company which develops Ubuntu, to thank me the support in the development of the system. Despite this, they didn’t ask me to do a good review, or else, but just to be honest. And I’ll do, as I did back in February. Also, I’m happy with Ubuntu, but that doesn’t mean it is the best system on the market (hint: it isn’t), or it has the best hardware (hint: it hasn’t), or the best applications (hint: no way). But I like it, I love to improve it, and I’m so happy there is an opensource system on the market (yes, there is Firefox OS too, but I prefer Ubuntu). So don’t buy it if you aren’t sure about what you’re doing. It definitely has better performances than the BQ. Especially browser and Telegram. Browser has a very fast rendering, and Telegram is so better than on the BQ that I’m not sure it is at the same version on two phones. I asked to developers and they said yes, but I swear I’m not convinced yet, it’s definitely faster, it never freeze, and it’s really nice to use it. And no, it’s not because I use it little. In fact, I receive more than 500 messages every day (guys, to abandon Android I had to persuade all my friends to switch to Telegram). I really love the system: good performance, long battery life, every time there is an update you see so many changes, and I help to shape it writing code (and this is one of the greatest satisfactions that there may be). After the last update OTA-4 it’s a wonderful world where to live, and it’s opensource. And this is the fundamental thing. Considering the hardware, the maturity of the system and the optimization (see above) it’s overpriced. While I suggest you to buy the Aquaris if you want to try Ubuntu, I cannot suggest to buy this one. At least, until another update fix all issuses I highlighted before. I really like the screen, so I’ll continue to use this one, but if you aren’t huge fans of large screens, there is no reason to buy this over the Aquaris at the moment I’m writing (end of Jun ‘15), but I hope the situation will improve with OTA-5 (ETA: end of Jul ‘15). We don’t need buttons. More screen and less buttons, please. Canonical and community are working together to make a dream possible. We want opensource runs the world, we want to create a better place with software. I don’t know if we will be successful, or if we will change the world, but at least we’re trying. So don’t settle down, continue to write code, report bugs, translate apps. At the end, good deeds are always rewarded. As Alan Kay wrote, The best way to predict the future is to invent it. Someone says I’m wasting my little free time doing things for free for a commercial company. But I’m not wasting my time, I’m building a better future, and so do you every time you do something for the opensource world.